I’ve been meaning to write this one for a while. So yeah, I missed out on a lot of the furor when Apple announced a phone without a headphone jack. Apple has done this sort of thing before, when they announced computers without traditional ports, without CD or DVD drives, and when they announced a tablet that couldn’t connect to a printer. They’ve stayed remarkably on-message: the old-style connections you count on now are just not important anymore. 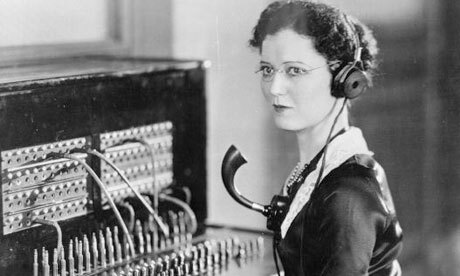 First a look back: Headphones were first used by telephone operators. Before automatic dialing, you actually had to pick up the phone and talk to a person who connected the call for you. These ladies needed both hands, so a telephone was invented that could sit on their heads, literally a head phone. As you can see, they were very light and comfortable (not.) Headphones were also used by radio operators, amateur broadcasters, and after World War II, by audiophiles. 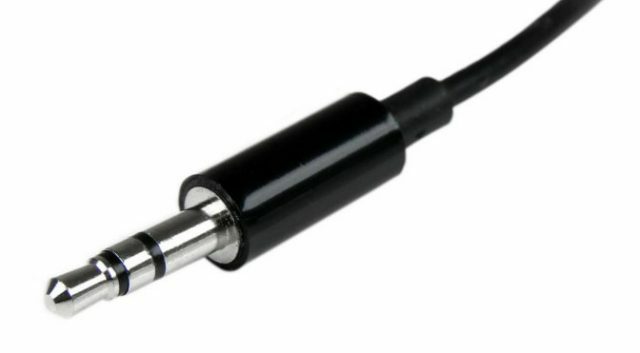 The plug used by headphones kept evolving and adding more features at the same time shrinking from roughly 1/4″ in diameter to roughly 1/8″ in diameter, and at the same time the world changed so we now say it’s 3.5mm in diameter which is the same thing. But no matter what it was called, it was a fixture on audio devices from Walkmans to cassette players to iPods. While early cell phones used proprietary plugs, the coming of the iPhone (which was also a music player, one of the first) meant the headphone was firmly established as a fixture in the cell phone. Apple decided that the rice-grain-sized headphone jack was just too big to fit in an iPhone. Every millimeter matters, and 3.5 of them (plus the necessary electronics) were needed for something else. The phone comes with an adapter to let you use headphones with the Lightning connector, so you’re not totally locked out, but it becomes really hard to charge the phone and listen to music at the same time that way. Did this mean the death of the headphone plug? It’s beginning to look like a real possibility, actually. It’s expected that high-end Android phones are going to follow Apple’s lead and ditch the headphone jack in their next iterations. I’m still not sure that’s a good thing. On the one hand, headphone jacks are magnets for dirt and dust and I’ll admit that it’s rare I use them. I don’t listen to a lot of music on my phone unless I’m driving, and in that case I use Bluetooth. In fact, I doubt the headphone jack on my phone sees more than half a dozen uses per year. On the other hand, I’m sad to let it go, because as someone who doesn’t think of himself as a high-end audiophile, I like the idea that I can use cheap earbuds, that if I lose them I can buy more. Now, the adapter costs more than most of the earbuds I use, and if I lose both, the replacement cost is much higher. That’s why I’m not super happy to see the headphone jack go. But, I suppose that’s progress. Back in 2000, I had a brand new Macintosh G4, and I spent a few hundred dollars to buy a floppy disk drive, a Zip drive, a keyboard with a number pad, and a mouse that wasn’t totally round. I needed all those things then, and I used them every day. Today of course none are needed (at least since Apple went back to making superb mice.) The world moved on and so did I. I can imagine that at some point I’ll adapt to having no headphone jack; I’ll either use Bluetooth headphones (they’re bound to get really cheap now) or use cheap adapters when they’re available. I’m even willing to bet that Lightning headphones will be under $5 fairly soon, although they won’t carry the “Made of iPhone” classification that will guarantee they’ll work. So yeah, I’m against losing the headphone plug but I’ll survive. What about you?